Combine all ingredients in a medium saucepan and bring to a simmer. 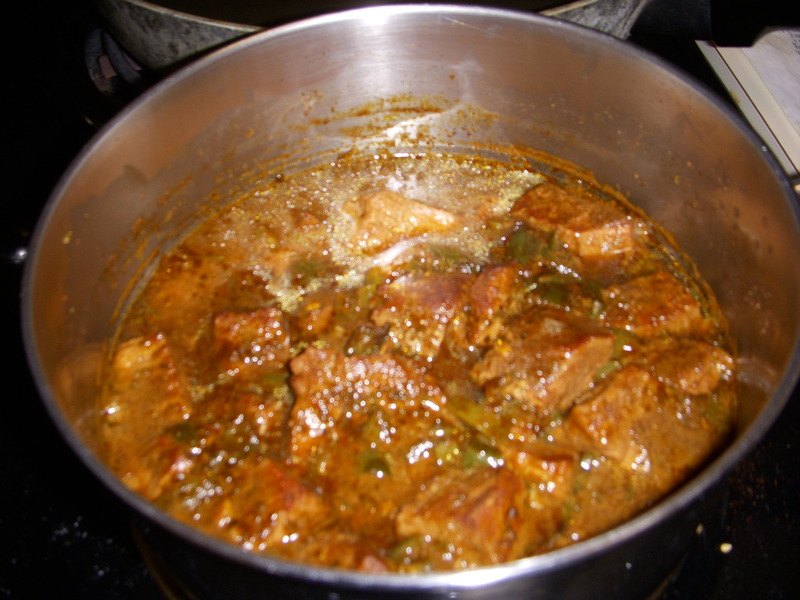 Continue to simmer meat for two hours or until tender. Remove meat with a slotted spoon but reserve broth. Cool meat to room temperature and shred with two forks. I think the key to great enchiladas is keeping everything very moist. I like to add a couple of spoonfuls of the reserved broth or enchilada sauce to the meat. You don’t want it swimming in sauce, but enough to moisten it. As for sauce, we have used several varieties over the years and canned sauce works as well as anything else. Currently, I try to use the Lawry’s enchilada sauce when I can get a packet. 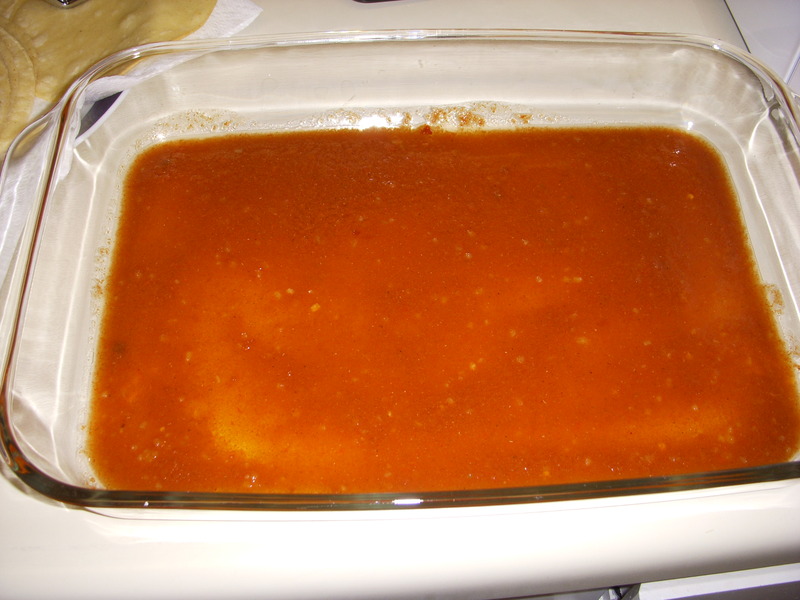 I make the sauce as described on the package but I like to add a little of the beef broth to thin it and for flavor. Make sure to reserve some sauce to make Spanish rice! Before you actually roll the enchiladas it is important to fry the tortillas in oil. This step helps keep the tortillas from crumbling to bits. Now, you don’t actually want to fry the tortillas until they are crispy but just until they start to puff then flip them over and fry on the other side for a few seconds. 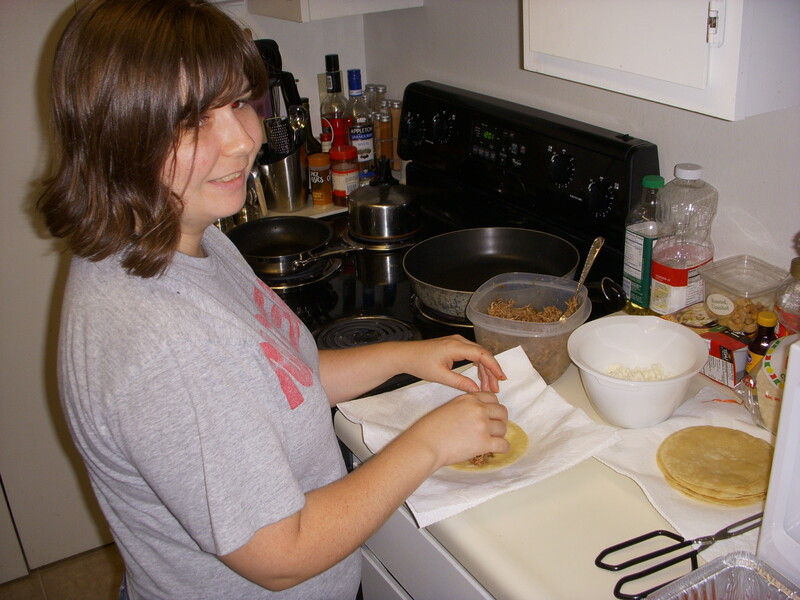 This process should only take a few seconds for each tortilla and it will really pay off in terms of texture. 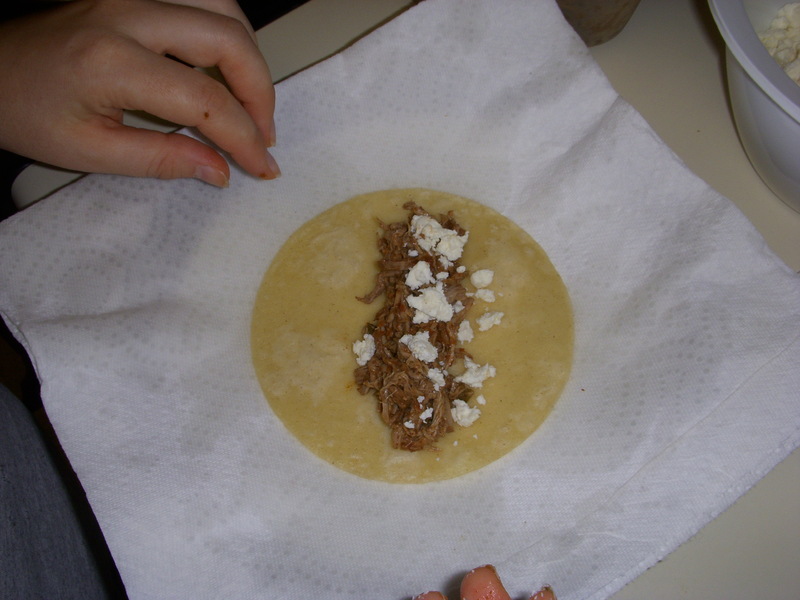 All that is left is to put some meat and cheese into the tortillas and roll them up. 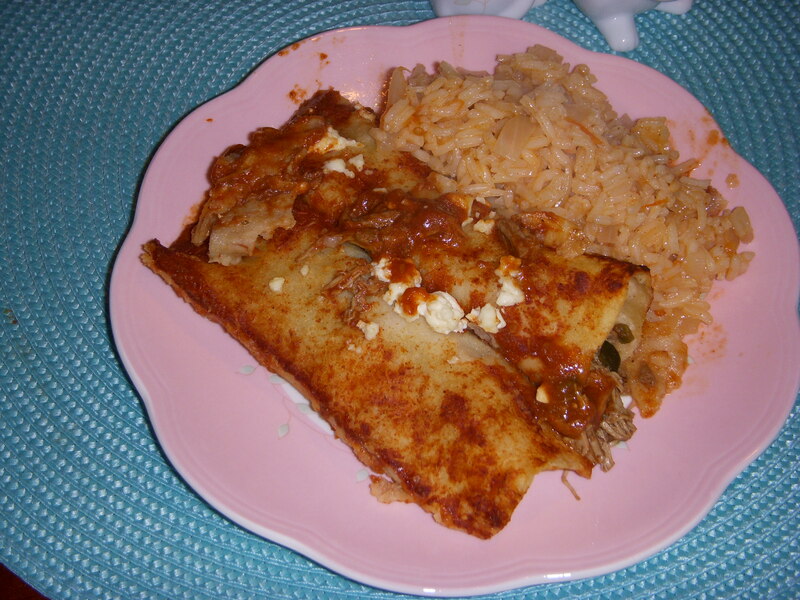 I use feta cheese but the enchiladas are good with just about any kind of cheese. 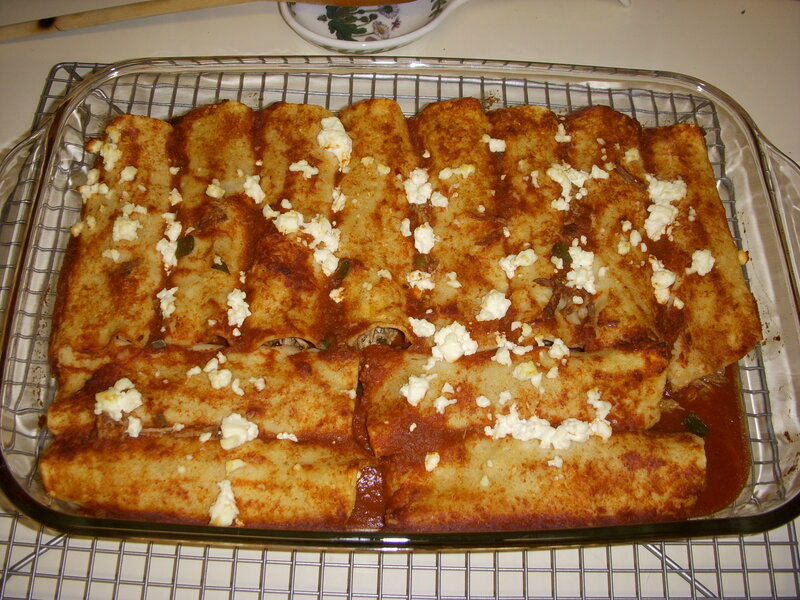 Place the rolled tortillas into a 13×9 inch pan that has a layer of enchilada sauce on the bottom. 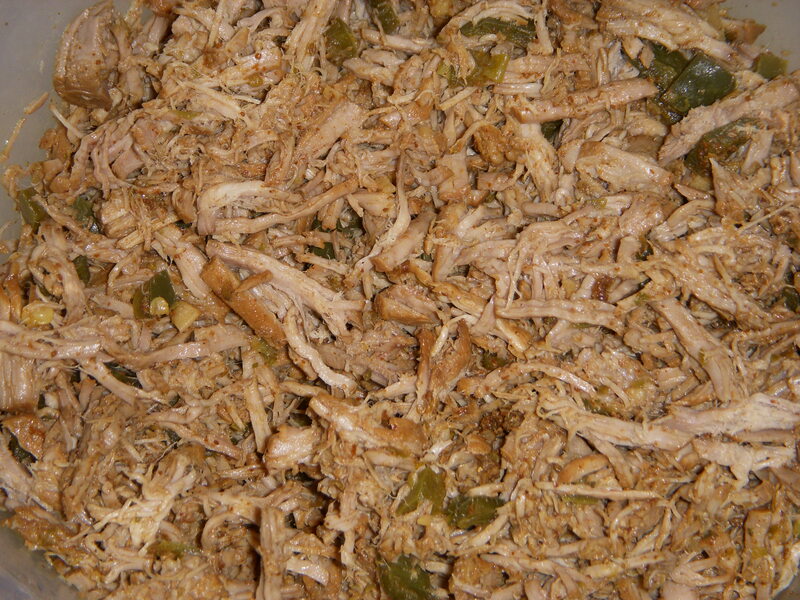 This recipe was adapted from the Better Homes and Gardens Mexican Cookbook.